WOWEE!!! Peachy Keen just went live with a super fantastic sale! You have to get over there and check it out! If you have been thinking about getting some face assortment stamp sets, now is the time to do it! Do you want to get some sets but not sure what to buy? Check out my list of favorite face assortment sets below. 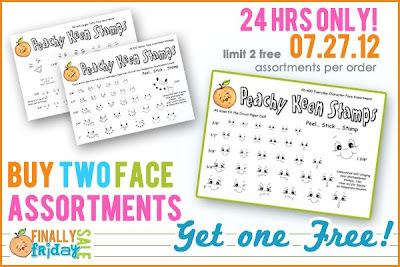 BUY 2 FACE ASSORTMENT SETS GET 1 FREE!! !